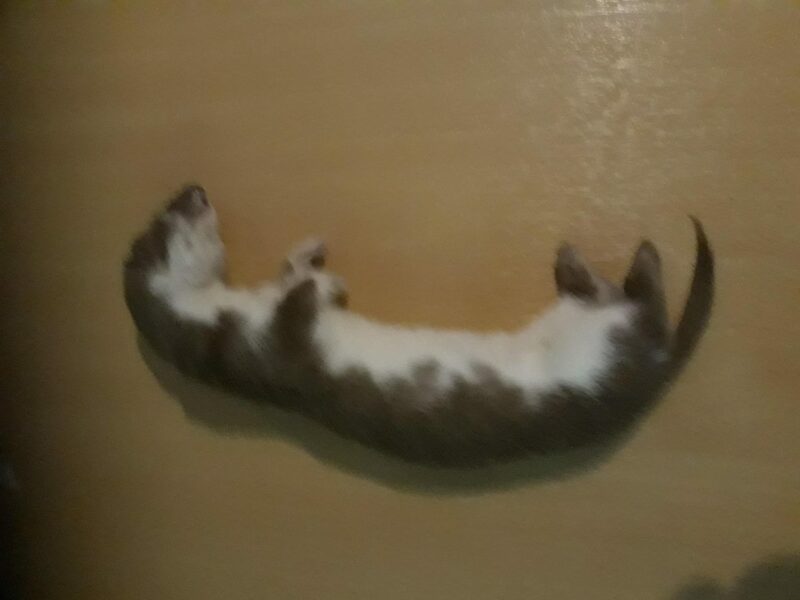 On the 6th November 2018 when my Dad and I were driving home we saw this dead animal on the road. 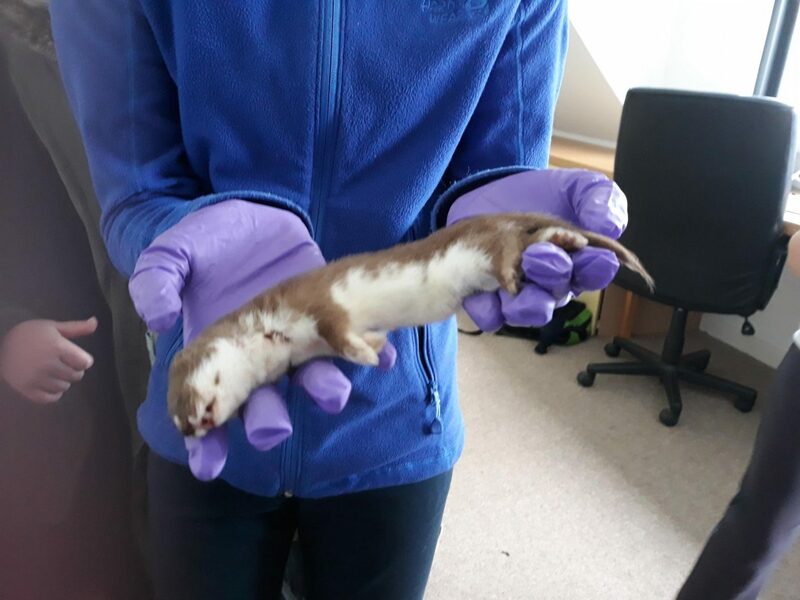 After checking our book we knew it was a weasel. Stoats have much longer tails. I took it to the Lochinver Wildlife Watch Group and we took some measurements. It was a female and it was 22cm from nose to the tip of its tail. It had very sharp teeth. The incisors on the top jaw were 6mm apart. It had bite marks on its neck but no other signs of injury. So we guess it was either killed in a fight or was attacked by an owl or maybe a cat. Andy agreed to bury the weasel so that we can get the skull after a few months.